This article is about the summon stone. 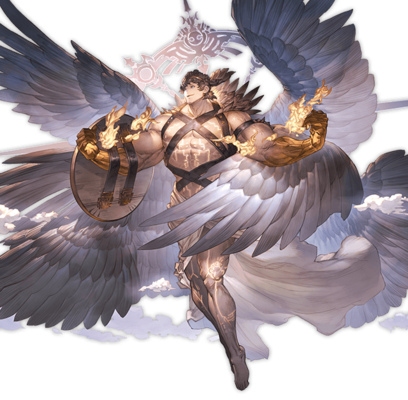 For the Uriel trials and raid battle, see Primarch Trials. For the non-party character, see Uriel (NPC). Unwavering justice, solid like the earth, supports the world's elemental balance. But when crisis manifests itself, this tranquil observer descends to personify the land's fury. 100% boost to Earth Elemental ATK. 120% boost to Earth Elemental ATK. 5% boost to Earth allies' damage cap. 10% boost to Earth allies' damage cap. Massive Earth DMG to all foes. Strength: 30%. 3T3-turn cooldown at the start of battle. 12T12-turn cooldown upon call. This page was last modified on 2 March 2019, at 06:13.